> Close Reading > Close Read Passages > What Is Success? Most people hope to be successful, but there are many different definitions of success. 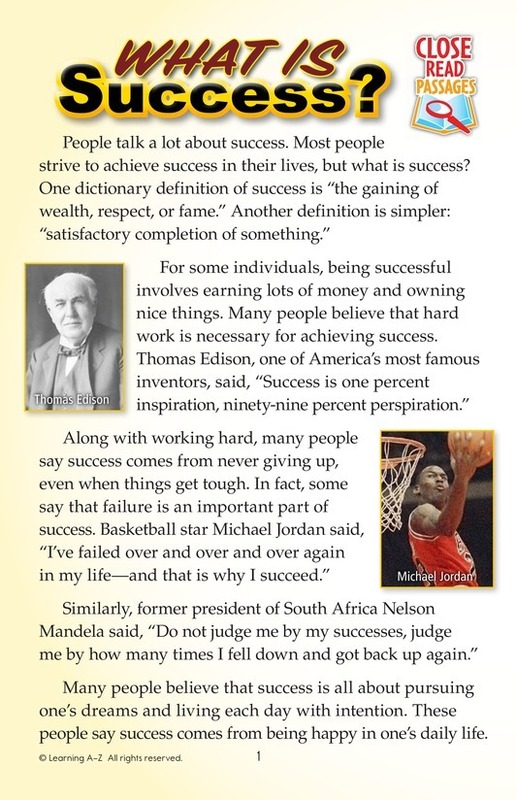 This passage explores various perspectives on success.